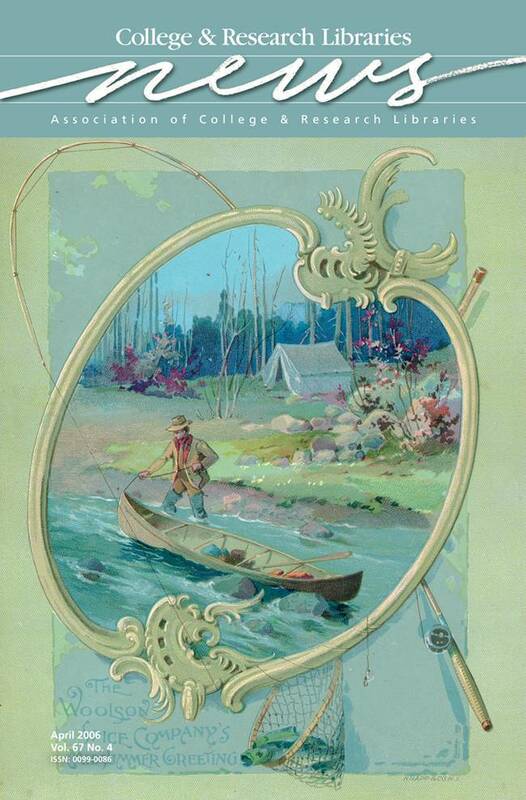 The cover illustration is a Woolson Spice Company Trade Card (ca. 1890) from the Center for Archival Collections (CAC) at Bowling Green State University. A total of 87 cards from the Woolson Spice Company of Toledo, Ohio, are held in the collection; 14 of these colorful cards are available for online viewing through “Ohio Memory: An Online Scrapbook of Ohio History” (www.ohiomemory.org/index.html). The company created cards to commemorate holidays, seasons, and significant events. The primary mission of CAC is to actively acquire, preserve, and make accessible to researchers historical materials in Northwest Ohio, University Archives, Historical Collections of the Great Lakes, Rare Books, Special Collections, and the National Student Affairs Archives.